You probably know the negative health effects of eating too much sugar, especially “added sugars” like in sodas, candy, baked goods, and many commercially-available cereals, just to name a few. Added sugar is hiding just about everywhere in the grocery store aisles. 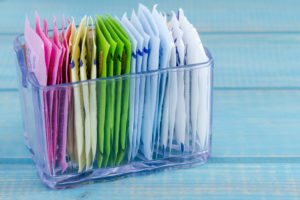 A while ago, one of the food industry’s responses to the demand for lower-calorie foods that still taste great was artificial sweeteners. We did want to point out one ironic thing, to do with artificial sweeteners and weight. 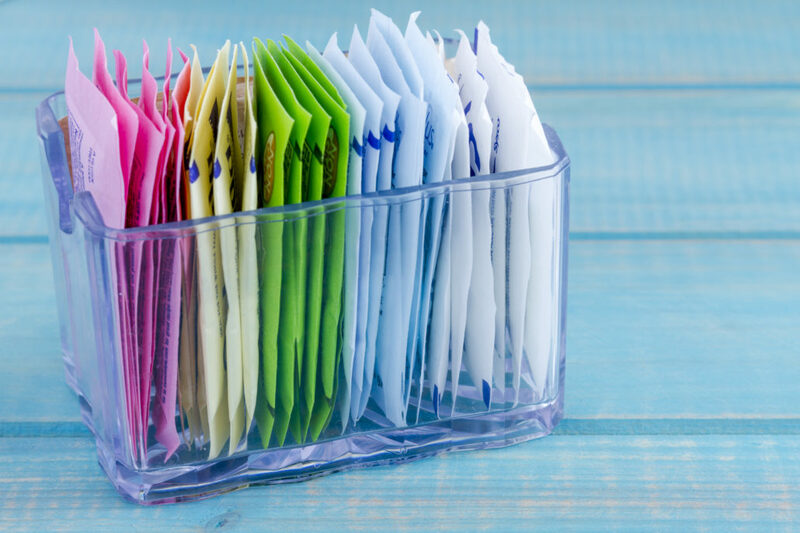 Understand that added or excess sugar is not good for you, but the solution may not be to replace them with artificial sweeteners. We highly recommend reducing your sugar intake, so you naturally re-train your palate and start enjoying the taste of real food that isn’t overly sweet in fact this is a healthy habit that Coach Rob and Shannon achieved over the years. This way you’re reducing your intake of added sugar, as well as not needing to replace it with artificial sweeteners. Try having ½ teaspoon less of sugar in your hot morning drink. Try reducing a ¼ cup of the sugar called for in some recipes. Step by Step you will get there!